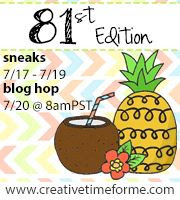 Welcome to the Butterflies & Blogs Birthday Hop! 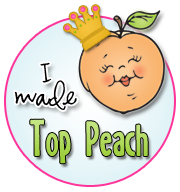 First of all I want to thank our host, Laura of Makin Pretty Things for putting together this hop! 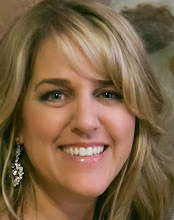 If you arrived here from Jennifer's blog, then you're on the right track. If you just popped in to say hello, you really want to start at the beginning so you don't miss a thing! Now you didn't hear this from me, but this hop is for Laura's birthday, she's turning 29 today! That's why she's having 29 blogs in the hop! So because it's huge hop, I'm going to let you get to it! everyone's project had to have butterflies! this card was inspired by a card I saw in Paper Crafts. I have no idea what month, because I cut them up! 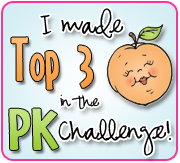 I know there is blog candy along the way so make sure you leave a comment for everyone! Stunning! I love the balck & white look. 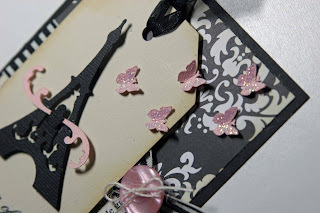 This is lovely I need to make a birthday card for my daughter last year she was in Paris for her birthday so I did want to use something French in her card this is great inspiration! This is such a classicly beautiful card! I love the soft pink with the black and white! Sorry, I can't spell before I've had my coffee! This is so beautiful! Love the color combo...very elegant! Your card is abolutley beautiful... I love it. What a pretty card. I love what you did here and the ribbon really sets it off I think. Great job as always. On to the next blog, there are such wonderful artists out there! WOW! great creativity! This is a beautiful card! TFS! So cute!!! I LOVE pink and black together! This is beautiful----I am amazed at all the creative ways we used butterflies.I love your colors. Gorgeous! I love the colors! It's so elegant! Love it!! I am such a HUGE fan of black and pink together. Fantastic!! Oh, Liz! This is so elegant and just lovely! Thanks so much for joining in birthday hop! Liz, I love the butterflies flying away from the Eiffel tower! I also love the touch of pink with the black and white! Hi! I love your card! It's different and unique. What a great idea! Well done! Have a great day! 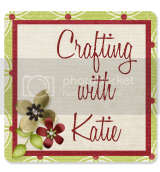 This card is beautiful, love following your blog! Your card is great. I love the textured tower and all the pink against the black! Your card, like your blog, is very elegant! TFS! Love the pop of color with the butterflies. Beautiful!!! I love the colors you used! Pink is a perfect pop of color!! Thanks for sharing! amore!! 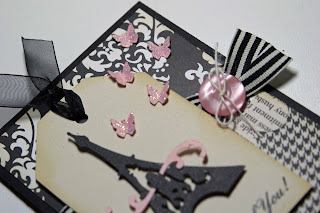 love the pink and black and the delicate look it has!! Everything you make is fabulous! Beautiful job. Love the card. This card is so beautiful and elegant..
WOW! Gotta love a little Paris! TFS. Ohhh i just love the look of this card. The added detail is amazing. Love love love it..TFS! love the card and the butterflys on it. Very Elegant and Pretty!! Love the colors! TFS!!! I am already a follower here!! Very very nice. Love pin butterflies. WOW LIZ...this card is so elegant...I LOVE the colors!!! 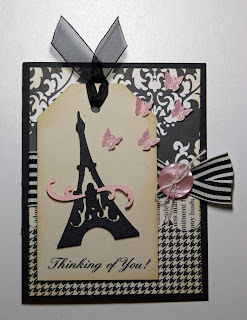 I have always had this "thing" for the Eifel Tower and hope one day to see it in person...STUNNING card...love it!!! Very chic! I love it! Wow, this card is stunning. Love how you made the butterflies look as they are flying off the pages. nothing better than...butterflies in paris. 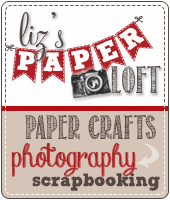 I love the ooh la la factor of your card! So pretty and sophisticated. TFS!! I love your card. It's just classically beautiful. Thanks so much for sharing it with us. Very elegant card. Love it. Beautiful card! Great use of the French Manor cart. WOW.. This is really pretty! 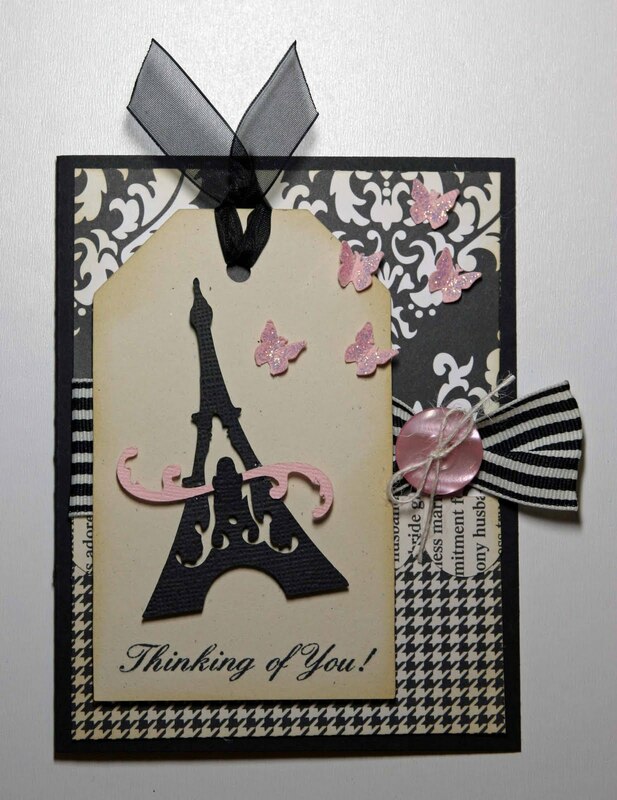 I love the pink and black, very elegant looking card. 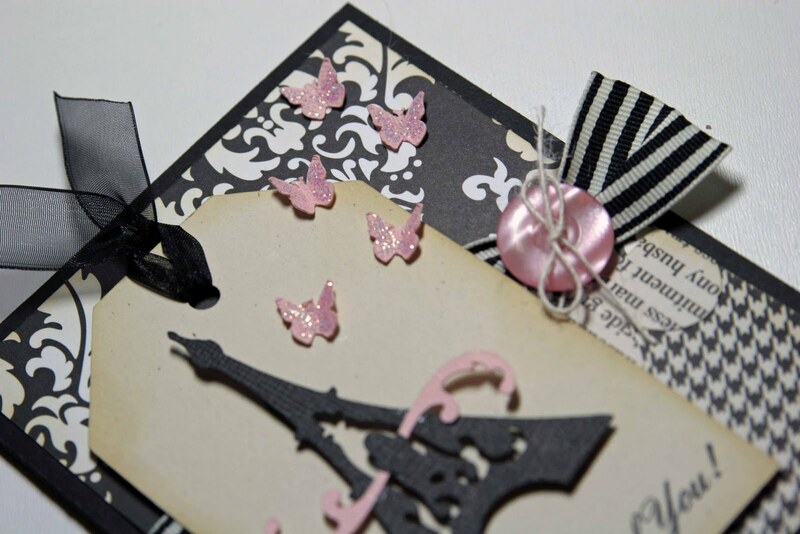 Those little pink butterflies are perfect with the black and white. so so cute, love the colors!!!! Gorgeous card. I love the colors that you used. I love the butterfly's..and using the colors worked great! Wow! What an elegant card!